“Meet The Experts” spoke to Or Kapelinsky, GM at iFOREX Ltd, for an in-depth look into the company’s product offering. 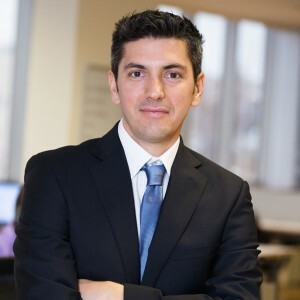 “Meet The Experts” spoke to Or Kapelinsky, General Manager at iFOREX Ltd, for an in-depth look into the company’s product offering and innovative efforts as it soldiers forth in a hugely competitive Forex industry. 1. The Forex industry is at the precipice of innovation, what sorts or efforts in this realm has iFOREX pioneered? iFOREX strives to be known as a market leader and invests enormous effort in its technology, constantly developing innovative ideas and improving its environment to provide its traders with the ultimate trading experience. Over the last year our IT specialist, which consists of a team of 100 programmers, has enhanced our trading platform with a variety of new features and also released an updated version of our mobile trading platform for Apple and Android users. A system built for power traders and novices alike, the iFOREX mobile and desktop trading platforms provide a secure trading environment backed by cutting edge technology. Apart from integrated charts and a unique shared wallet feature, which allows traders to diverse their portfolio between standard spot Forex, CFDs on a variety of products, and an array of binary options, iFOREX has also released its supreme cashback program. 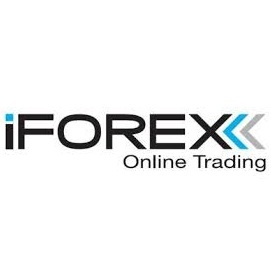 Unlike other brokers that offer high bonuses but require their traders to trade high volume in order to realize the bonuses, the iFOREX program allows its traders to receive weekly cash realization, which allows its traders to receive their money according to partial volume they have executed throughout the week. Under the tagline ‘The More You Trade – The More You Earn’ this technology allows iFOREX traders to extract the most out of their trading. Looking forward, iFOREX has got a few more tricks up its sleeves and plans to surprise its clients towards the end of the year with an additional assortment of tradable products from a spectrum of major exchanges and further educational packages to accompany its new PIPS interactive course. 2. What are some of the new features iFOREX has added to its platform recently? Only recently has iFOREX revealed new features, expanding its tradable assets and giving its platform a brand new facelift. The new and improved look gives the platform a sleek appearance putting simplicity at the front of trading. The layout of the platform has been enhanced to categorize all of iFOREX’s tradable products, making it easier to navigate, open and close trades and switch between instruments. Furthermore, in order to allow traders to diversify their portfolios and branch out from the standard Forex spot trading, iFOREX has boosted its list of tradable products adding a wide variety of new Commodities and Indices. Together with 3 unique platforms, customizable leverage and unbeatable trading conditions, we have developed a simple yet incomparable trading platform built for power traders and novices alike. 3. Can you tell me about iFOREX’s Shared Wallet and what exactly it is? Unlike our competitors, iFOREX has invested vast amounts of resources to give its clients the capability of trading different products using one Shared Wallet, all from one single trading account. Instead of providing two separate platforms, iFOREX allows its clients to trade spot FOREX, an array of CFDs and Binary Options using the same margin.